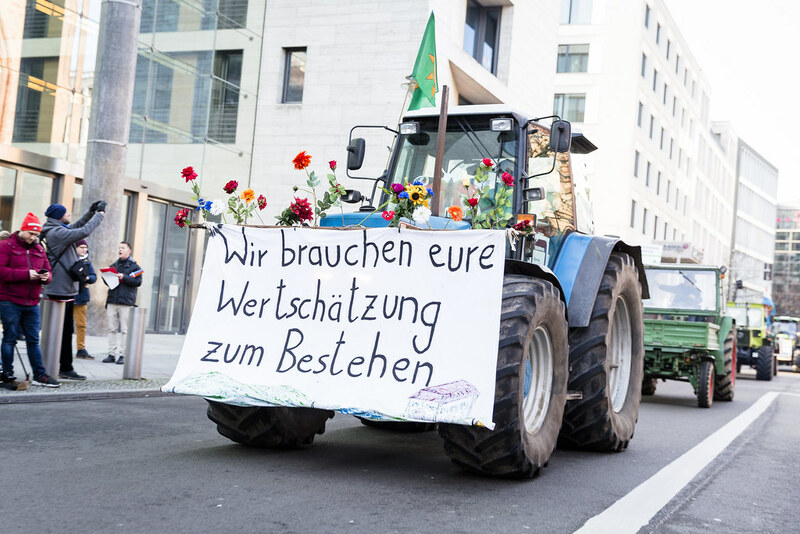 One of AbL peasant members who took part in the protest in a tractor that held up a banner reading, “no sexism and racisim in our fields”. 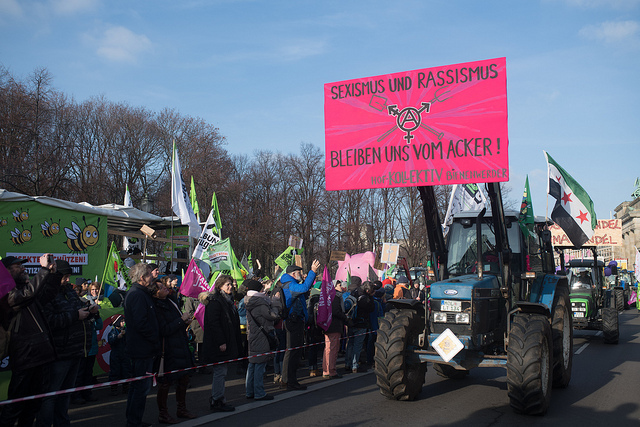 Organizers said 35,000 protesters had converged on Berlin via three routes, some using tractors, from the state of Brandenburg which surrounds Germany’s capital. 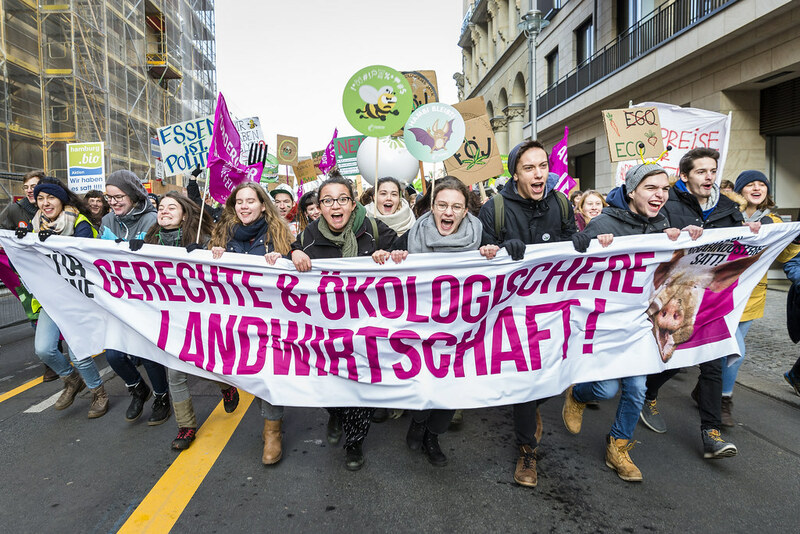 Many held placards reading “Eating is political” at the action in Berlin, which coincided with the so-called “Green Week” agricultural fair.The protest also featured a procession of 170 farmers driving tractors to the rally at the Brandenburg Gate.